What is the most difficult room to set up organization solutions and storage in your home? For many people the answer is the bathroom. This usually small room requires the need to find some inventive ideas when it come to organizing. The small footprint of the room and the need for tub, sink, toilet, etc. makes for difficult planning. 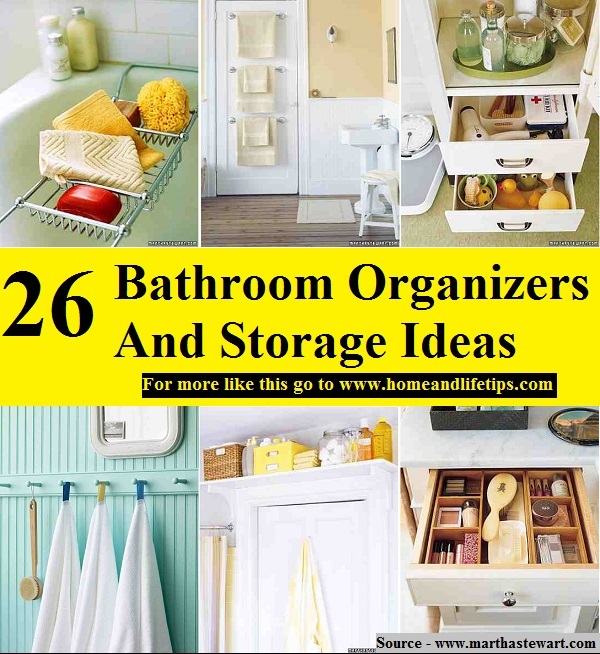 Thanks to marthastewart.com for these 26 great bathroom organization and storage options. Follow the link below to learn more.